Spider Shepherd is an agent with MI5. Born Daniel Shepherd but nicknamed Spider years ago, Shepherd was not always an agent of the British internal security apparatus. Over his adult years he held several different positions but the one thing they all had in common was they put Shepherd in the line of fire, facing imminent danger, and challenging him to pull off the near impossible time after time. Despite the odds, Shepherd came through. From the time he was a teenager, Shepherd wanted to be a soldier, not a spy. He dreamt of it and proudly told his parents that is what he was going to do. They had other ideas and he reluctantly listened. He made it as far as college preparing to become the lawyer they wanted. That was as far as he could take it for the call for something more exciting was too strong. He said goodbye to his favorite instructor, grimaced as his parents told him how he was ruining his life, and signed up. He joined the Parachute Regiment as that sounded the most interesting but it was just a short two years later that he applied for and got accepted to train for the Special Air Service, the elite force just a few ever make. He was one of those few. His duty in that proud organization took him all over the world and for six years he fought in many dangerous hell holes and while he undoubtedly told himself and others how crazy they all were to be doing what they did, he never thought of quitting. It was while with the SAS he got the nickname of spider as he, trying to win a bet for the most disgusting thing anyone could eat, consumed a tarantula. It was during that six years that he met and fell in love with Sue. They married and not much later were joined by a baby boy they named Liam. 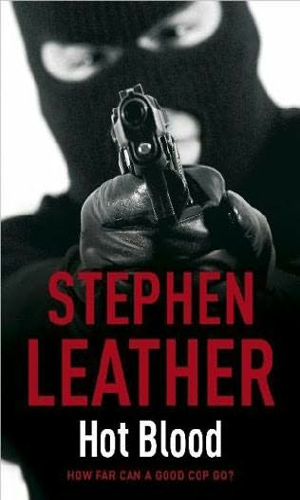 With a family to think of, Shepherd resigned from the SAS and took a "safe" job with the Metropolitan Police. His wife should have known, though, that safety was something he instinctively shied away from. 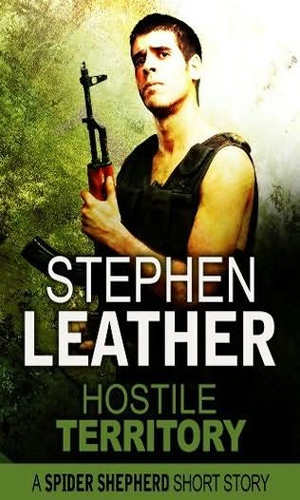 Undercover work was offered and he took it, taking roles that put him in danger ever minute. Sue was less than thrilled but she loved him. As the series progresses, Shepherd's life will change several times. He will leave the police for a tougher job with the Serious Organized Crime Agency and then on to MI5. His love of excitement coupled with his devotion to duty and doing what was right never lets him say no to an assignment. That is just not who he is. To use his own words, "I'm an armed robber, a gunrunner, a drugs dealer, a hitman and a terrorist. Sometimes all in one week. I could be your best friend, or your worst nightmare. I could be holding a gun to your face one moment, and in the shadows the next. 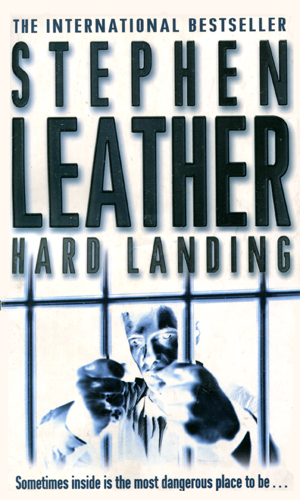 I could be buying you drinks or giving you enough rope to hang yourself with...and you'd never know..."
To find out how a drug lord is learning the whereabouts of witnesses against him, Spider Shepherd, undercover, becomes a prisoner in a maximum security prison where he discovers the man has reaches far beyond the prison walls. An elite group of police are ripping off drug dealers at gunpoint, using their badges as a shield. Spider Shepherd is sent undercover to infiltrate the unit and bring them down. Albanian mobsters are using asylum seekers to smuggle in large amounts of counterfeit Euros. Terrorists are using this opportunity to send in killers. Spider Shepherd is dispatched to track the criminals to their head. 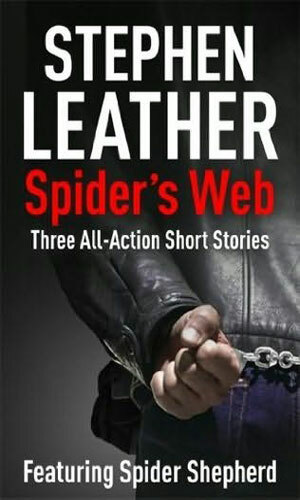 Spider Shepherd is now attached to the Serious Organized Crime Agency when he learns a man who once saved his life has been taken hostage in Iraq. When officialdom abandons the man, Shepherd knows it is up to him to perform the rescue. While Spider Shepherd is in Belfast tracking down the killer of former IRA members, a Saudi who is mourning the loss of two sons goes after those closest to Shepherd. A pack of British Islamic fundamentalists have started their own war on the West with a series of attacks that shocks the nation. Spider Shepherd is pulled from his current case to put a stop to them. A group of vigilante cops are meting out their own justice on the streets with no use of the court system. Spider Shepherd is ordered to find out who they are and stop them. 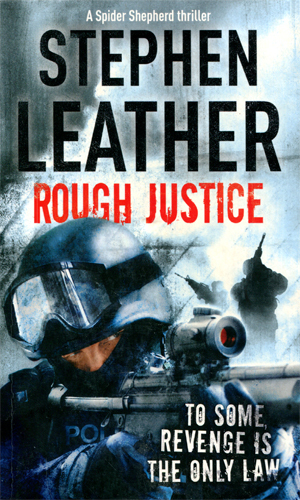 Recently transferred to MI5, Spider Shepherd finds himself in the region of Somalia going up against pirates who have kidnapped the goddaughter of the British Prime Minister. 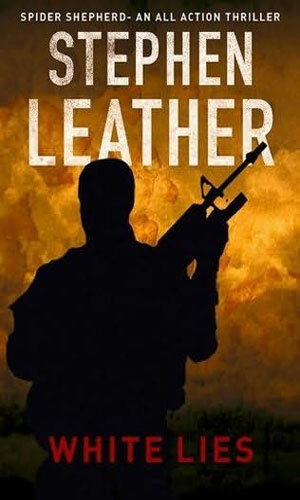 With the death of Bin Laden, Al-Qaeda is out for revenge. 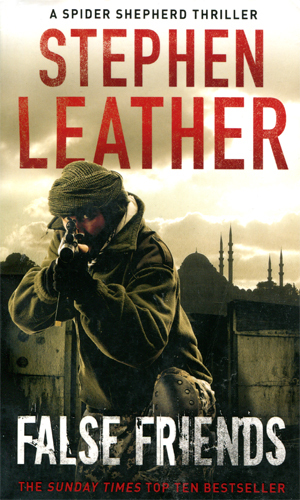 Two ex-Islamic fundamentalists are recruited by MI5 to infiltrate the British end of the group and it is Spider Shepherd's job to keep them alive. This book is a collection of 3 short stories. Also includes a extract from the 10th book True Colour released later the same year. Russian oligarchs are getting killed in London and the rich community is demanding an end to it. 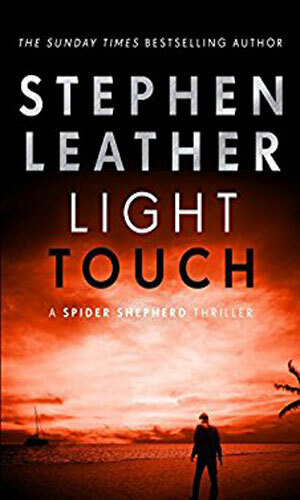 MI5 puts Spider Shepherd on the job and he soon learns the killings are not political but personal. 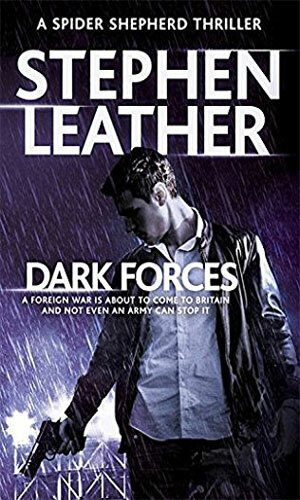 Trying to save a comrade who has been grabbed by Al-Qaeda in Pakistan, Spider Shepherd heads to that region to rescue him but is himself captured and MI5 and MI6 are at odds with each other making a solution tricky. 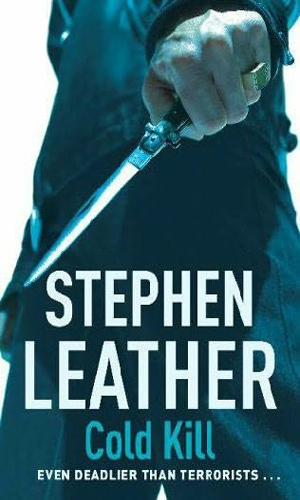 As he works to stop his MI5 handler who has gone rogue using government resources to get revenge on her husband's killers, Spider Shepherd also has to deal with his teenage son's being caught with drugs and a deal being offered - help take down a drug kingpin and the son walks. 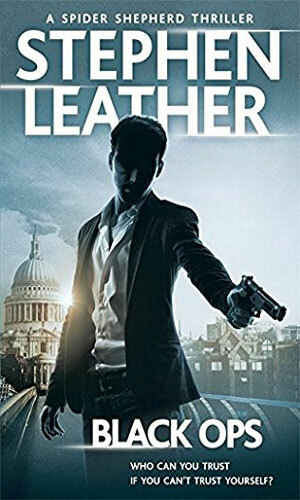 Spider Shepherd is undercover as a hit man to take down a ruthless gang in London. His efforts will bring him into contact with a terrorist group from ISIS in the country to cause havoc. MI5 asks Spider Shepherd to look into the possibility that a female undercover agent as gone bad. If she has, Shepherd's own life is not likely worth much. 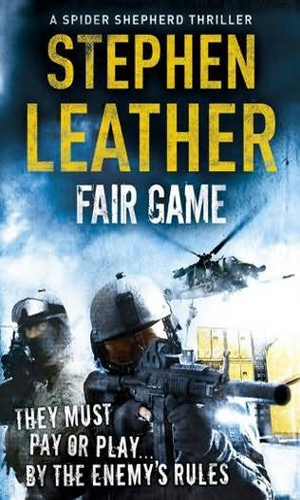 A tale from Spider Shepherd's SAS days, this tells of his helping a 12-year-old Afghan boy get revenge on a Taliban enforcer in 2002. 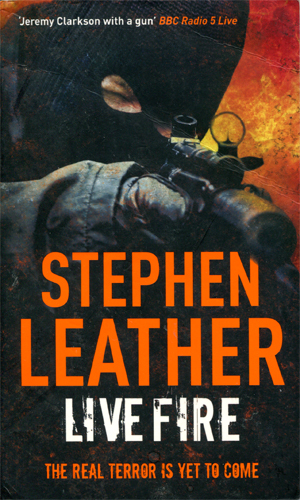 A tale from Spider Shepherd's SAS days, this takes place in Afghanistan in November 2001 when Spider Shepherd is sent into a Taliban camp to find Bin Laden. 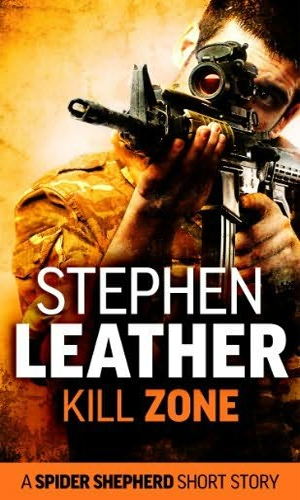 A tale from Spider Shepherd's SAS days, Shepherd is in Afghanistan on the hunt for a Taliban assassin who is really quite good. 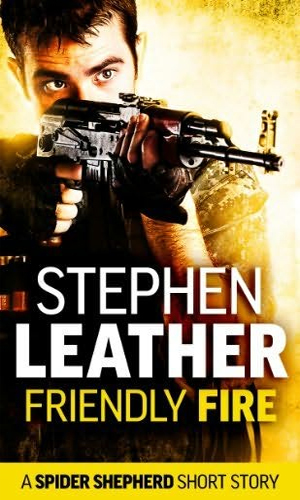 A tale from Spider Shepherd's SAS days, Shepherd is in Sierra Leone trying to help the survivors of that war-torn regions. 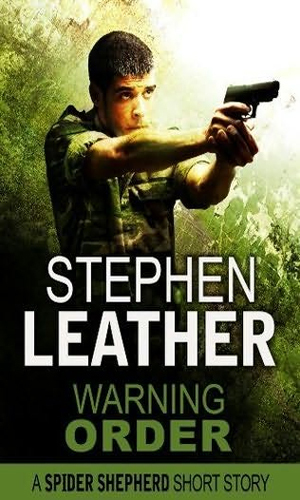 A tale from Spider Shepherd's SAS days, Shepherd is still fighting in the hostile land of Sierra Leone where diamonds pay for murder. 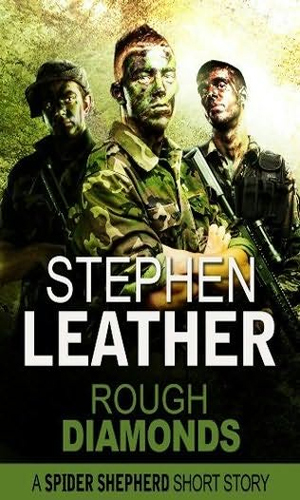 A tale from Spider Shepherd's SAS days, Shepherd remains in Sierra Leone just having survived a brutal training exercise which leaves him more vulnerable than usual. 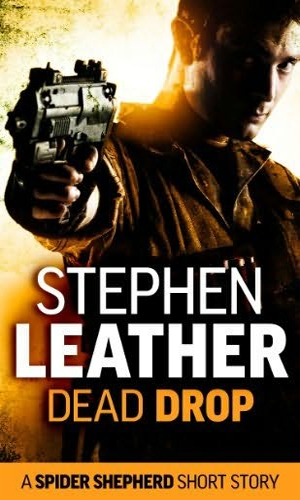 If you are looking for hard-pounding, non-stop action with a fascinating character, it is impossible to miss with Spider Shepherd. The man is testosterone solidified and I do not mean that in any way other than good. This character is blast to follow because he is far from perfect but he is darned good. He can take his lumps and he definitely can dish them out. He loves what he does and it shows. Something else that shows is how good an author the writer is. 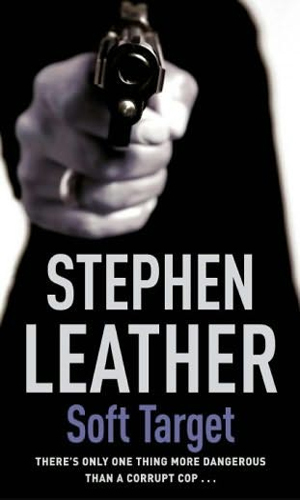 Stephen Leather has been creating dynamic hard-to-put-down books for years and he shows no sign of losing that knack. Each Shepherd book is different with the places and events and opponents all unique but the consistency is there with prose that will knock your socks off and a character that might do a lot worse if pushed. Do not push. 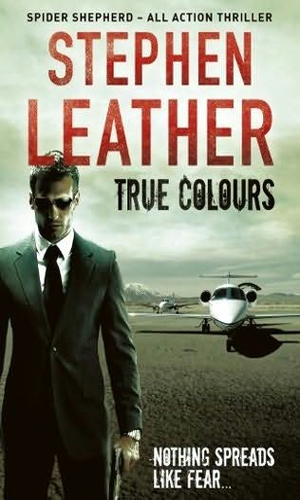 One fact that demonstrates how terrific the author is comes from the knowledge that even as I have read and enjoyed the Shepherd novels so much, I have also had a blast with another character of his, Jack Nightingale, a former cop turned private eye who learns his soul was sold by his father to a demon when he was born. 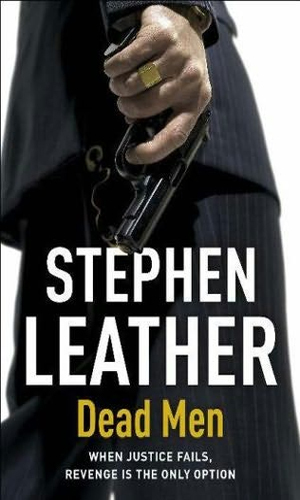 Needless to say, the two series are incredibly different and yet Stephen Leather pulls it off. It might be interesting to see who would win in a showdown between Nightingale and Shepherd. I would put my money on Shepherd but it would not be a big bet because I do not like to lose.